"The effect of ovarian cancer screening on sexual activity and functioning: results from the UK collaborative trial of ovarian cancer screening RCT" in British Journal of Cancer (restricted access/subscription required). Dame Lesley was awarded the Umberto Veronesi Foundation prize at this year's St Gallen International Breast Cancer Conference, which took place in Vienna on 20-23 March. Prof Veronesi, who died in 2016 aged 90, contributed enormously to the research showing that all women with breast cancer did not necessarily need to have a mastectomy. 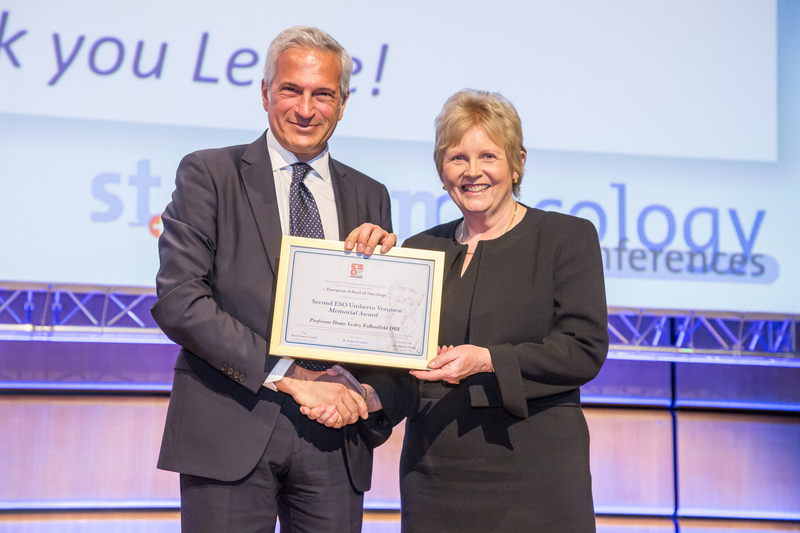 Dame Lesley was given the award in recognition of her leading role in advancing science and care of breast cancer patients. Commenting on the award, she said: "I am absolutely thrilled and immensely proud that the Awards Committee have nominated me, a psycho-oncologist rather than a surgeon, for this prestigious award. I knew Prof Veronesi well and he was always very kind and encouraging to me in the early stages of my career. I am sure that the title of my talk 'How heretical thoughts and challenging orthodoxy improves breast cancer care' which epitomised his own private and professional life, would make him smile. Two of our researchers, Lucy Matthews and Rachel Starkings are at BPOS in Chester. Here Lucy presents some results from the EXTREQOL study. The BSMS Inclusivity Team is delighed that Dr Val Shilling has taken on the role of mentoring working group lead. Dr Shilling replaces Dr Sara Balouch, who started a new position at BPP University in January. Dr Shilling brings a wealth of experience to the role having been both a mentee and mentor in the scheme. Welcome to our new member of staff, Elizabeth Renvoize! Beth joins us as Department Assistant. Good luck to her and all for 2019! Available to download from the Apple iTunes store, for iPad, iPhone or Mac. Inspired by his experiences with cancer for over 30 years, Bruce Gilligan considers the most effecive ways to communicate with newly diagnosed cancer patients. 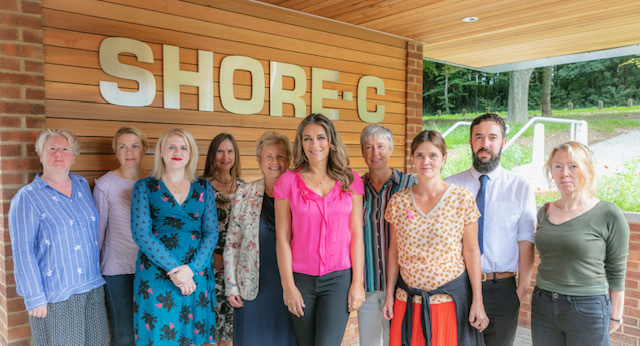 The research is being carried out by Dame Lesley Fallowfield, Professor of Psycho-oncology at Brighton and Sussex Medical School, in partnership with Dr Melanie Flint, reader in cancer biology at the University of Brighton. Elizabeth Hurley has taken part in research exploring the benefits of yoga, exercise and mindfulness on those being treated for breast cancer. See our bWell app for exercises after breast cancer, which you can download from the App Store. The actress, 53, hailed the work as “ground-breaking” during a visit to the laboratory at Brighton and Sussex Medical School, where the team is exploring whether stress reduction techniques can increase the effectiveness of chemotherapy for those with breast cancer. Hurley, the global ambassador for Estee Lauder’s Pink Ribbon breast cancer awareness campaign, had her saliva tested to measure levels of the hormone cortisol, which indicates stress. 'Problem Solving in Person-Centred and Integrated Cancer Care' is the BMA Oncology Book of the Year! Against significant competition from some excellent titles, ours was chosen as the best in category. The ACP series in oncology from EBN Health has won the award for the last three years which is a great achievement for all authors and editors. 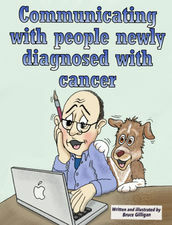 You can see the titles at www.ebnhealth.com. 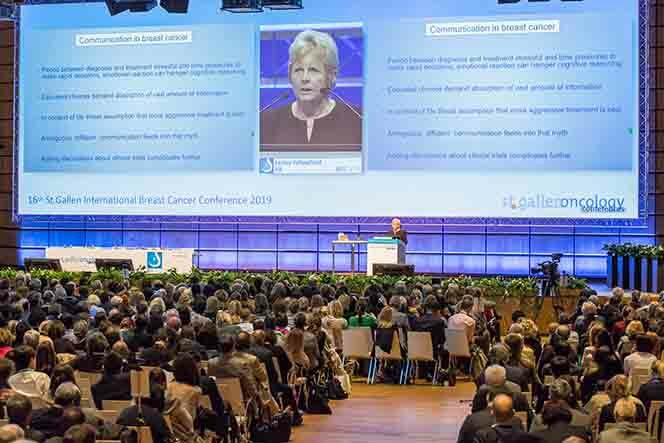 Professor Dame Lesley Fallowfield has been awarded a grant from the prestigious Breast Cancer Research Foundation in the US to develop a communication skills programme to help HCPs discuss germline mutations in breast cancer, and the management options available to patients. 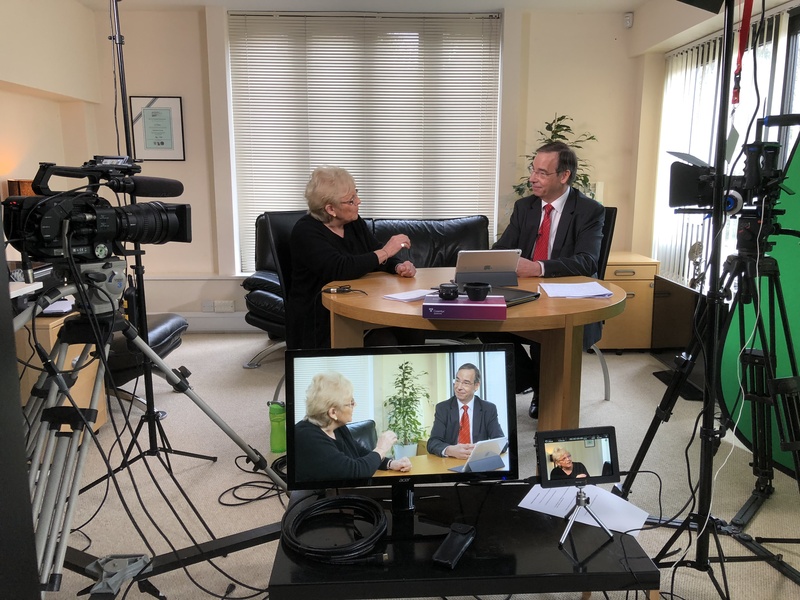 Professor Val Jenkins and the Dame busy making a new patient information film with Prof Denis Talbot, Consultant medical oncologist at Oxford. ECP Video - a great film production team!